Forbes recently released their rankings for the most valuable teams in College Football and Texas A&M came in at No. 1 on the list with $148 million in revenue and $107 million in profit. 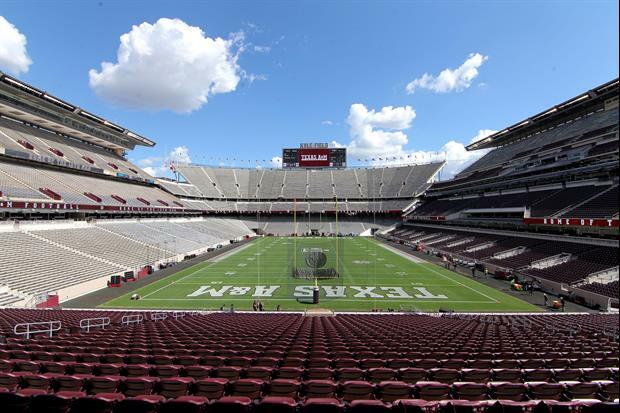 Texas A&M was one of five teams from the SEC to land in the Top 10. Eleven teams from the conference were ranked in the Top 25. I’ll never but that AU makes more money than UGA. The books are cooked. As usual. I'm actually surprised that USC, Wisconsin, and Nebraska are that far down the list. USC is a rich kids school AND football crazy, and Wisky and the Huskers have college football monopolies in their state. Aggies most valuable? Nice troll. Look, I know you're a corndog and are therefore incapable of abstract thought but even YOU can read at least part of the Forbes article that explains why A&M is the most valuable and your pathetic program is not. Then again, maybe I'm giving you too much credit. The gay dollar stacks high when concentrated. LSU fans are so adorably stupid. I'd feel sorry for you idiots if you weren't do insufferable. "Gay dollar", really? That's the most immature thing I've ever heard. Then again, you are lsu fan.